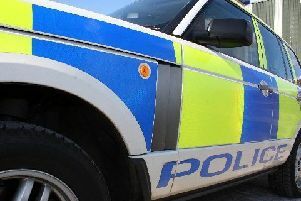 Three men have been charged following the discovery of drugs at a property in Dalkeith. Cocaine and herbal cannabis with a combined street value of £3,740 was seized by officers who executed a warrant in Allan Terrace on July 13. The men, aged 21, 27 and 36, are due to appear in court at a later date. Sergeant Michele Lindsay, at Penicuik Police Station, said: “The supply and misuse of drugs has a devastating impact on those who are involved in such criminality, as well as a significant impact on local communities. “We continue to work hard to tackle drug crime in the Midlothian area and are committed to bringing those responsible to justice. Anyone with information about drug crime can report this to Police Scotland via 101 or make an anonymous report to the charity Crimestoppers on 0800 555 111.